Molossia and Vikesland? Leaders of (fake) nations gather in L.A.
LOS ANGELES -- The largest gathering of world leaders this side of the United Nations is convening Saturday at a decidedly less glamorous edifice: the Anaheim Central Library down the street from Disneyland. No one will be representing the United States, Great Britain or China, but you may catch a glimpse of the president of Molossia, decked out in a beribboned, full-dress uniform that would be the envy of any Third World dictator. There he'll be hobnobbing with kings, queens, dukes and barons from places like Slabovia, Westarctica, Vikesland and Broslavia. The occasion is MicroCon 2015, what organizers say is the first North American gathering of micronations, those itty bitty countries that pretty much nobody but the people who rule them believe really exist. "It's almost like a diplomatic version of a model railroad for nerds," says Steven F. Scharff, who has been studying the micronation movement for decades. Most of these faux countries print their own stamps and mint their own money. Some even produce sashes, swords, pendants and other royal doodads that Scharff says rival anything coming out of England's royal House of Windsor. Much of it will be on display Saturday, along with the flags of some two dozen countries. Pulling the gathering together is President Kevin Baugh of the Republic of Molossia, who rules over 1.3 acres of real estate he purchased east of Reno, Nevada, in 1998. Of the country's 27 citizens, only five - Baugh, his wife and kids - live in Molossia. Still, the place issues its own passports, has its own railroad, phone system, bank, post office and general store. If you call ahead, the president himself will take you on a tour. "When you come to visit, you see as much as possible a functioning nation," says Baugh, who from his teens thought it would be really cool to create his own country. Don't get him wrong, though, he knows who really runs things. "Can I lower the drinking age?" he asks rhetorically. "Well no, I can't. Come on, let's get real. "We all want to think we have our own country, but you know the U.S. is a lot bigger," this benevolent dictator says with a hearty laugh. Another world leader coming to MicroCon is His Royal Highness Travis McHenry. As grand duke of Westarctica, he rules over 620,000 frozen, triangle-shaped square miles of Antarctica that no real country ever bothered to claim. Although his nation is nearly the size of Alaska, none of its 300 citizens actually live there. But then, nobody else does either. "When I discovered there was a piece of Antarctica unclaimed by any country, I was just really inspired by that," said McHenry, whose day job is recruiting coordinator for a Burbank-based media company. "I just sort of took my imagination and decided to see if I could turn it into a legitimate country." He made it a nonprofit last year that advocates for protecting its native penguins and studying climate change's impact on Antarctica's ice sheet. He'll give a talk on "micronations that matter." 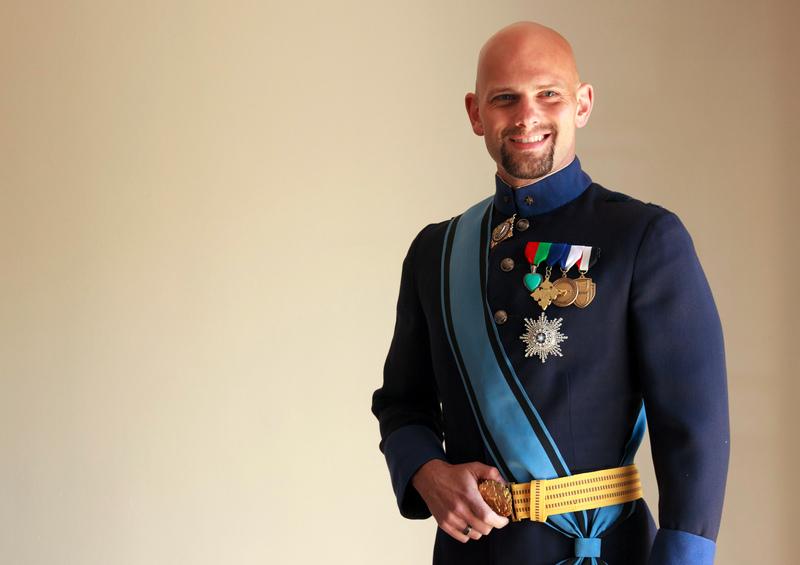 "It's just sort of encouraging other micronations to become nonprofits so they're actually doing something rather than just walking around wearing fancy capes," he says. Micronations are scattered all over the word, although it's hard to get an exact count because they come and go. Some, like the Principality of Hutt River in Australia, began as the result of a dispute with a real country, in this case over wheat quotas that limited production on Prince Leonard Casley's farm. After Giorgio Rosa opened a tourist attraction on a platform off the coast of Italy in 1968, named it the Republic of Rose Island and declared himself president, Italy quickly invaded. Rosa's platform was eventually dynamited, literally blowing the Republic of Rose Island right off the map. Baugh organized MicroCon 2015, Saturday's gathering at the Anaheim Central Library of dozens of small, self-proclaimed nations. Here's a look at some the more interesting ones. - The Republic of Molossia. Founded by Baugh and a buddy as teenagers in 1977, it existed mainly in Baugh's bedroom until he bought 1.3 acres of property in Northern Nevada in 1998 and built a railroad and private phone company. Molossia pays taxes to the United States but likes to think of that as foreign aid. Its creation was inspired by the Peter Sellers comedy "The Mouse That Roared," about a small nation that declares war on the United States so it can receive foreign aid after it loses. - Grand Duchy of Westarctica. One of the world's largest micronations, it encompasses 620,000 square miles of the Antarctic, but nobody actually lives there. It was founded in 2001 by His Royal Highness Grand Duke Travis McHenry after he learned no other nation had laid claim to the area. McHenry says he would like to eventually make Westarctica a real country. If he does, he jokes that he'll probably promote himself from grand duke to king. - The Kingdom of Vikesland. Located adjacent to picturesque Riding Mountain National Park in Manitoba, Canada, it was founded in 2005 by Christopher Barry Joseph Beyette, a TV newsman who prefers to be called King Christopher I. The king says his fascination with micronationalism led him to create the country. He says he'd like to eventually produce a documentary on the micronation movement. - Royal Republic of Ladonia. Located on a rocky shoreline in southwest Sweden, this micronation came into being as the result of a lengthy legal battle over a gigantic pop-art sculpture made of 70 tons of driftwood. After Swedish authorities demanded that it be torn down artist Lars Vik went to court. . After vandals torched it, he built another and went back to court. In 1996 angry supporters declared the site, in a nature preserve, an independent nation. Ladonia claims to have 17,000 citizens now, although none actually live there. It is ruled by Queen Carolyn I, whose coronation took place in 2011 by the disputed sculpture. - The Grand Duchy of Broslavia. Founded in 2014 in Albuquerque, it is ruled by His Majesty Grand Duke Jacob Felts and lists its capital as Feltasia. Although it has only five citizens, Broslavia claims to have a volunteer military armed with cardboard copies of AK-47s that fire rubber bands. It claims to have recently expanded its territory by annexing the dwarf planet Pluto.